Specialty beverage Zevia has launched a cause-related marketing effort to raise up to $25,000 for Whole Planet Foundation to help empower the working poor through microcredit loans. 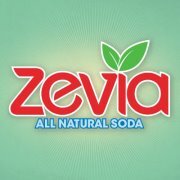 During the month of July, the company will donate 10 cents for each six-pack of Zevia purchased at Whole Foods Market stores throughout the United States and Canada. A $25,000 donation would fund 167 microloans. This is a straight-forward but solid cause-related marketing campaign from Zevia, in partnership with the Whole Planet Foundation. Zevia’s placement in Whole Foods Stores undoubtedly simplified their decision to participate in a cause-focused effort, potentially giving them a viable point of distinction during the hot summer months and driving additional sales via this Whole Foods turnkey program.